For the last time in his career, Iranian president Mahmoud Ahmadinejad spoke in front of his fellow delegates at the United Nations. It was expected that the controversial leader of Iran would quickly speak out against Israel and the United States in a way that would give the other delegates in the room more than enough reason to walk out of the room in protest. While these words are peaceful, they are by no means characteristic of Iran or Ahmadinejad. Iran’s president spoke in terms that expressed he was acceptant that capitalism is now the ruler of the world economy and that it would take cooperation by all states to ensure prosperity for all. Iran and Ahmadinejad spoke at the UN in a way that showed the world they were progressing. However, their previous actions and statements are not lost on the leaders of the free world. As Ahmadinejad spoke, there were no delegates present from the United States, Canada, or Israel. 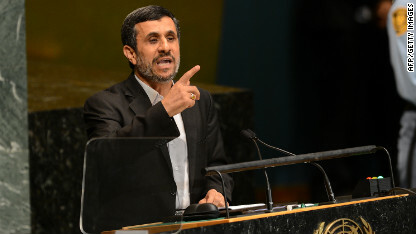 Many are claiming that Ahmadinejad’s speech was empty rhetoric put together to try to please the free world. Earlier in the week the same man said that Israel had zero roots in the Middle East and was unwelcome there, which simply isn’t true. The rest of the week saw leaders like President of the United States of America Barack Obama bash Iran and Ahmadinejad for their ways and their strong role in creating the dangerous instability in the Middle East. The belief is still that Iran is working on nuclear weapons programs. Iran has said in the past that their goal is only to use nuclear energy for peaceful reasons, but many believe that this is simply a mask to cover up their true intentions of gathering strong nuclear weapons to protect themselves from potential attacks or possibly to start their own attack. 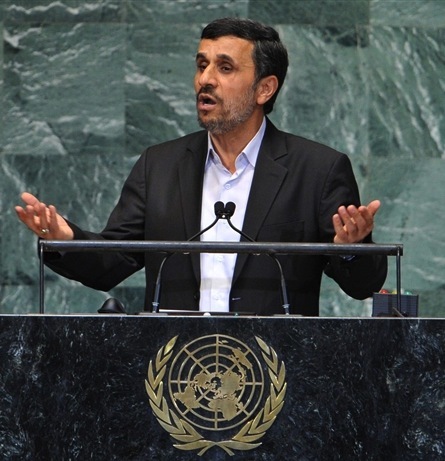 Ahmadinejad vaguely spoke about the United States and their control over nuclear weapons. The Iranian president made it out to seem that his state was threatened by the United States and was thus only looking to protect itself from the great Western power. He then spoke on Zionists who attacked Iran. 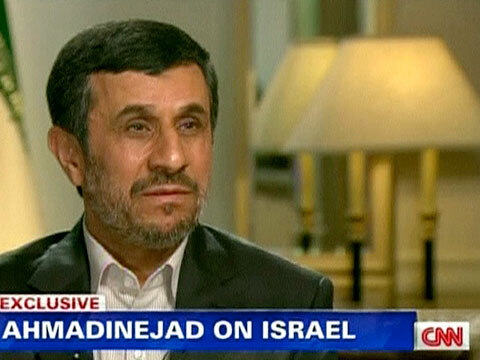 It seems as though Ahmadinejad is using the attacks as a reason to go after Israel and attack their people. At no point did the Iran leader say anything specifically to warrant a protest or a condemning of his views. He made his words out to seem as though he wanted peace in the end. After the UN meeting in New York City, there is still a lot of mystery surrounding Iran and what their true intentions are. It is no surprise that they do not like Israel and that they are also not very fond of the Americans. But it seems as though we do not know what Iran is for sure. Is Iran a ticking time bomb? Are we simply idly waiting until it is too late and Iran has nuclear weapons and pulls the trigger when we least expect it? Could the fate of Israel be in jeopardy when Iran is finally capable of doing real, significant, and permanent damage? Or is there more truth to Ahmadinejad’s words that we perceive? Perhaps he really is extending his hand out to the free world. Maybe he really does want peace, but first wants assurance of it before Iran abandons their nuclear energy and nuclear weapons program and thus take away a big deterrent to make sure other states stay away. This is the conundrum. Do we wait or do we act? It is possible that we leave Iran alone to do as it pleases and in the end we regret it as the state launches a nuclear attack on Israel or the United States. But it is equally possible that if we go to war or try to forcefully strop Iran’s nuclear programs, it turns out that they had no plans to begin with. Granted, Ahmadinejad’s words carry more weight than Saddam Hussein’s, but once upon a time our leaders believed there were weapons of mass destruction in Iraq, but in the end the only destruction was that of a war over false information.